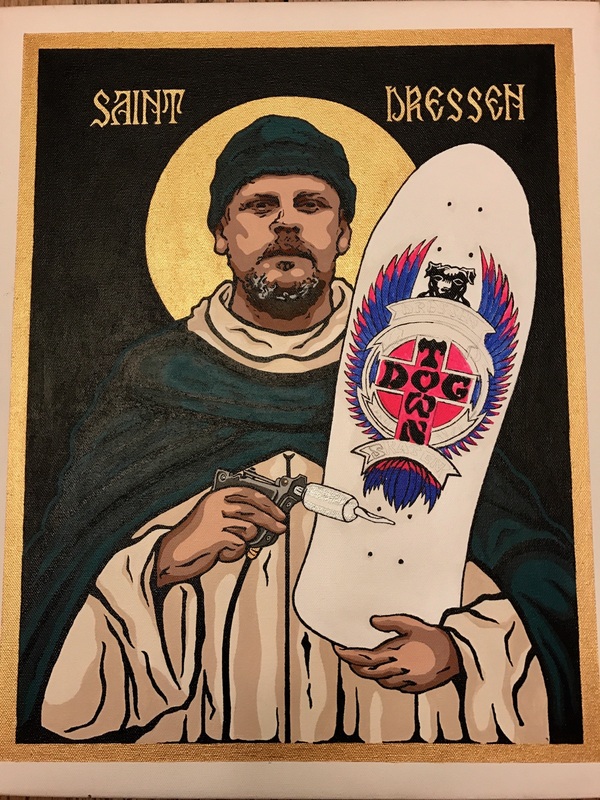 Hey everyone, just trying to get some feedback on an idea... so I thought it would be cool to do a series of paintings for myself in the style of Greek Orthodoxy or Roman Catholic Saints. I started with a couple musicians but this idea has morphed into much more. I thought about doing a series of skaters... possibly making prints of them? Wondering peoples thoughts on who should be in the top 5? Also do people think it would be cooler to have the skater from their heyday or what they look like now? 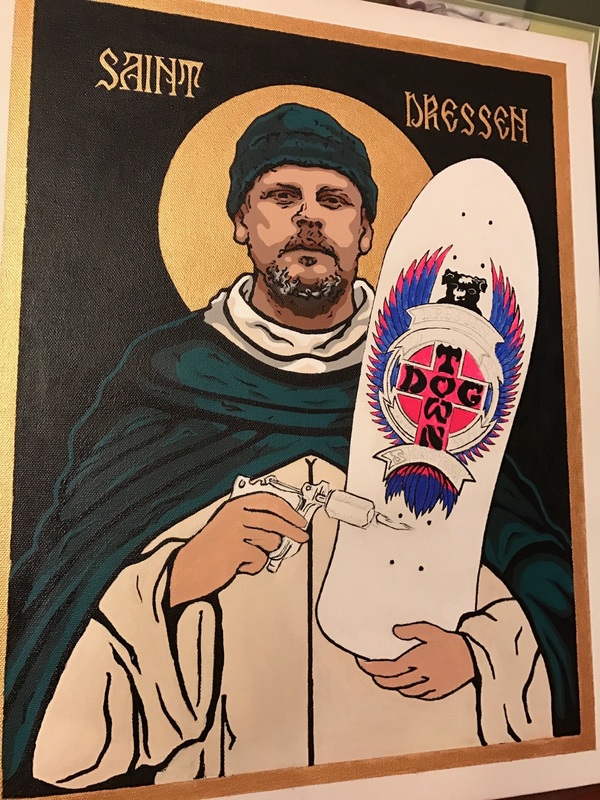 Like Jay Adams Young Vs Jay Adams Old/tatted up or Cab in the 80's Vs. Cab today full beard Monk Style? I'm a plumber by trade so I don't do this to make money but thought it was a cool idea so that's where things are now. Thoughts? I reckon a Rodney Mullen one. How he looks today. Elder statesman. Thanks! Yea Mullen would be up there for sure! 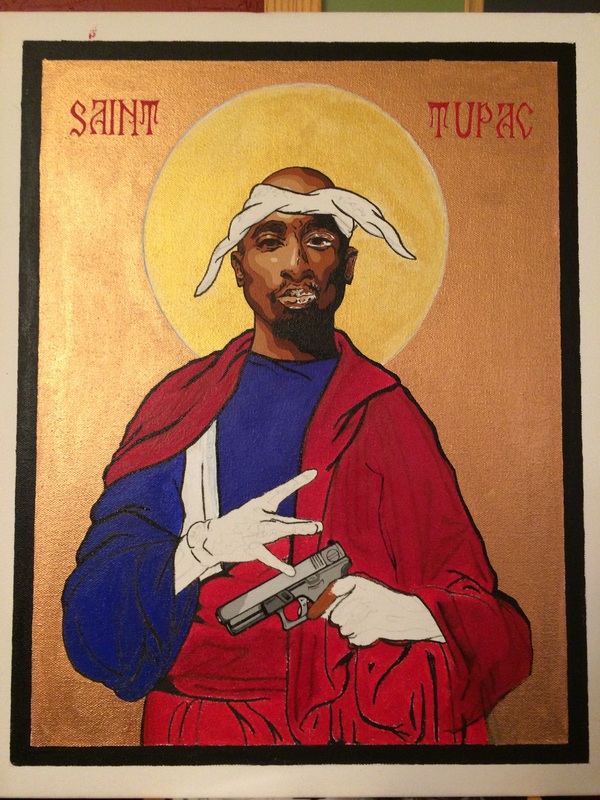 Sorry about the disappearing pics... here's the Tupac again (in progress) and an updated Dressen (in progress)!! Can't wait to start on the others! Getting close... hands and tattoo machine are done. reworked and completed his clothing. Now to clean up and finish his deck!